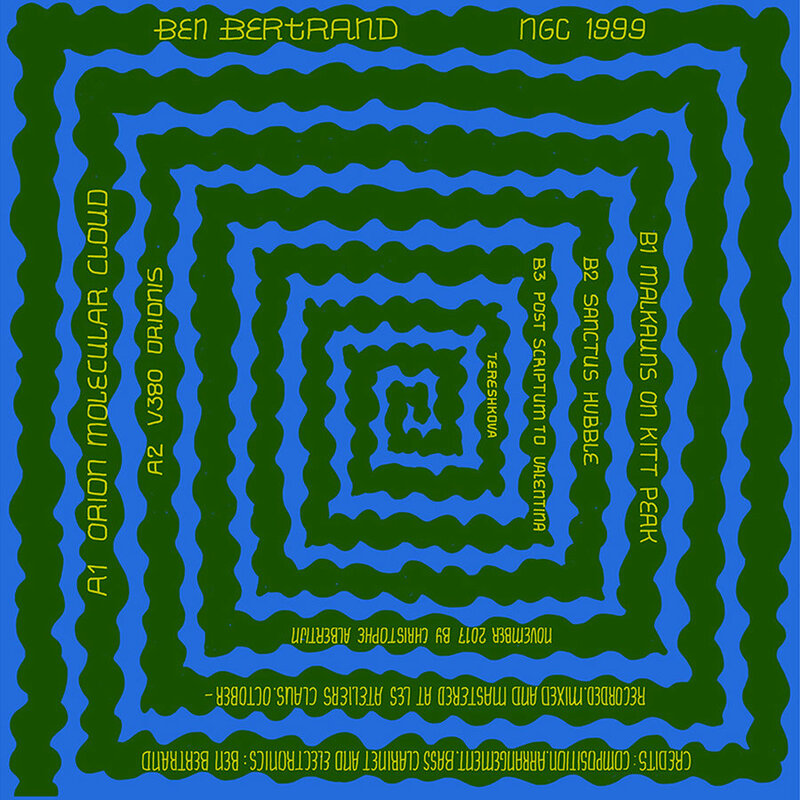 Reading far less interesting than it plays, Ben Bertrand’s short, long-play debut, ngc 1999, claims the lineage of ‘fellow minimalists such as Steve Reich and Terry Riley’ and to be ‘aiming in the direction of the contemporary classical section of your record collection’ through a considered synergy of minimalist patterns for wind and electronics. However, lazy invocation of upper-case Minimalism notwithstanding (as if parsing your patterns in a sparse array were all you needed to get a high five from the big boys), the nods to academia aren’t so wide of the mark. 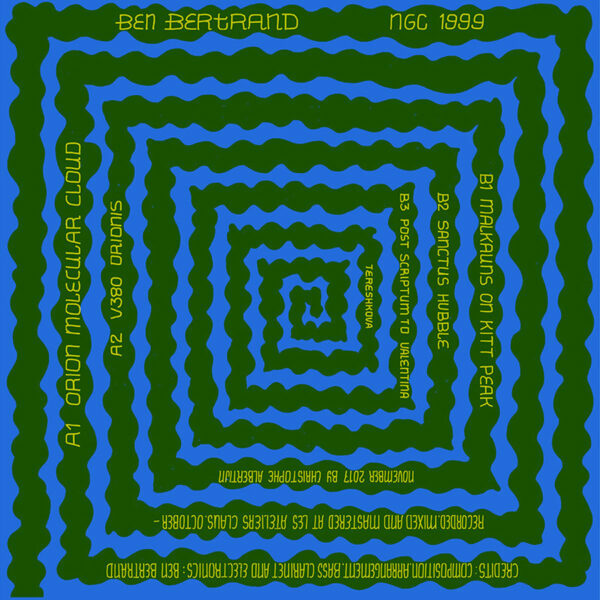 What I’m hearing though is Open University at 5am: ponderous real-time lab experiments like ‘Orion Molecular Cloud’ backlit by cavernous pulses and lilting passages for bass clarinet that offer teasing glimpses into a quirky, micro-sound-world still rich in the radiophonic magic long since spent by the Ghost Box regulars.